Home / Food / I love Ramen! And It’s FREE on your birthday! I love Ramen! And It’s FREE on your birthday! A friend introduced ramen to me when we are still in the same company. Ramen is a Japanese dish with chinese-style noodles served with meat or fish depending on its broth. It become one of my comfort food starting that time and my love for it starts in Ramen Nagi. 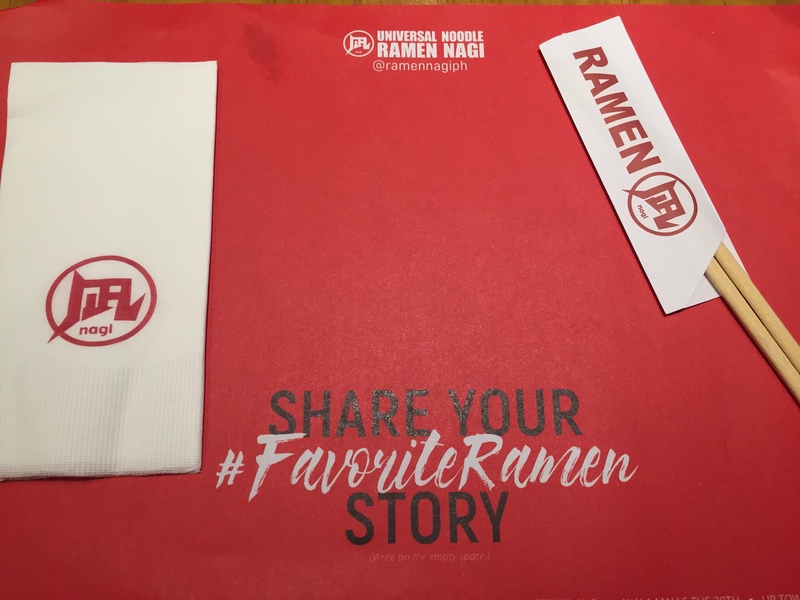 I want to share my experience in ramen nagi last night. We’ve availed the birthday promo which is the celebrant is free as long as accompanied by 1 full paying guest. Here is the mechanics on how to avail. To qualify, we both ordered Butao king with different spicies level. Below is my Butao King. When you are eating ramen nagi for the first time, I suggest to choose Chef recommendation as the standard taste of a ramen but if you want to explore, you can choose your own taste. Mine is so delicious and i love it. If you love to eat you will love to explore food. Enjoy! Next post: The secret formula to success!